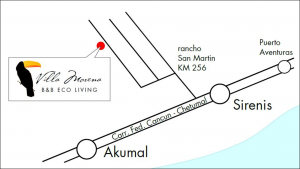 Villa Morena is located few kilometers from Akumal, at the 256th km of the Carretera Federal Cancun to get to Tulum, passing by Playa del Carmen. You may reach the Hotel in about an hour driving along the dual carriageway Cancun Tulum; 15 km away from Puerto Aventuras, you find the hotel Sirenis on the left and a little further on the right a dirt road with signs, which goes into the forest and leads directly to Villa Morena. 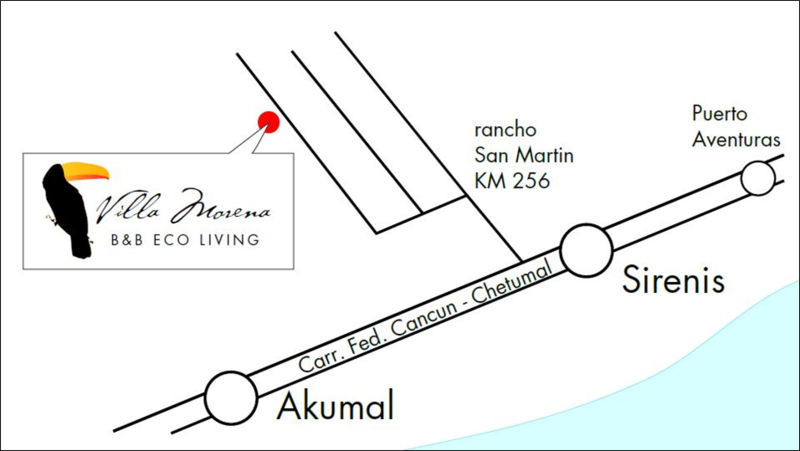 You can also reach us via bus, asking to stop at the employees entrance of the hotel Sirenis. 2 km Akumal, to swim with turtles. 25 km Tulum, to the Mayan ruins overlooking the sea, the shopping in the local shops and kilometric white beaches where you can enjoy a sea with gorgeous colors and quench your thirst with a fruit cocktail breathing its hippie vibe. 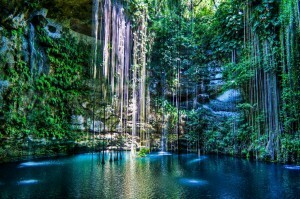 30 km Playa del Carmen, shopping on Fifth Avenue, the nightlife and the ferry to the island of Cozumel. 30 km Xcaret, for a day in the park where relive a bit of Mexico. 75 km Coba, to visit the Mayan ruins riding a bicycle, in contact with nature surrounded by a majestic forest. 80 km biosphere of Sian Kaan, for a hike in the marine nature reserve where you can see dolphins, turtles, crocodiles and variety of local flora and fauna. 130 km Valladolid, for one of the examples of the classic Mayan villages with all their colorful habits and traditions. 180 km Chichen Itza, for the world’s most famous Mayan ruins. 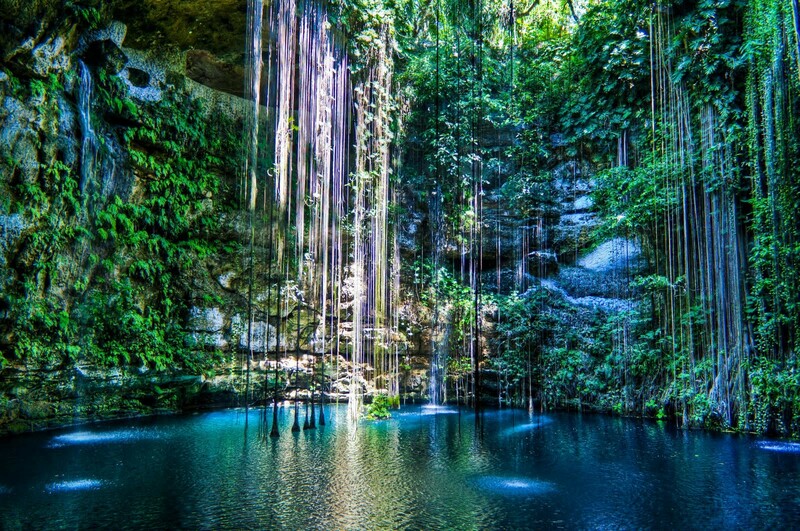 Moreover, we are located near to dozens of awesome Cenotes, where you can swim and refresh yourself in the gentle crystalline waters, remaining enchanted by the natural caves formed.